Nitish Kumar claimed, before the quick-paced developments plunged Bihar into a political turmoil, a "behind the scene game" was being played out where JD(U) MLAs were being "lured" to defect. 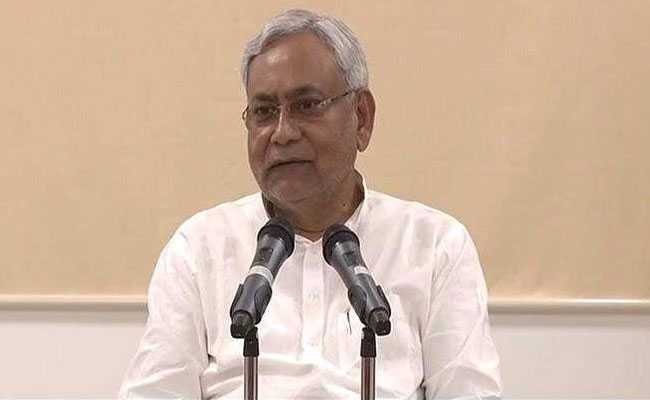 Patna: While the RJD has alleged that Nitish Kumar's decision to embrace the BJP had been in the works for a while, the Bihar chief minister insists he himself had no idea he would return to the NDA fold until the BJP offered support to him the day he resigned after walking out of the Grand Alliance. Mr Kumar, who ditched Lalu Prasad's RJD and the Congress on July 26 and put in his papers, also claimed attempts were being made to engineer defections in his party. "I know none of you would believe me that I had no previous thinking of joining hands with the BJP after tendering my resignation to the Governor on July 26. After I resigned, when an offer came to us from BJP that day, I placed it before my legislators who had gathered at my Anne Marg residence for the legislature party meeting and they decided that the offer should be accepted," Mr Kumar told reporters yesterday, insisting everything happened in "quick time". He said BJP legislators and those of its allies immediately joined the meeting of JD(U) lawmakers where he was chosen the leader of their joint legislature party after which he staked claim to form the government. Mr Kumar claimed, before the quick-paced developments plunged Bihar into a political turmoil, a "behind the scene game" was being played out where JD(U) MLAs were being "lured" to defect. "Many JD(U) MLAs were being lured to defect from the party... my MLAs refused all allurements and told me who came with huge offers to them," he said without naming any party or individual. However, his statement was being seen as directed at the RJD. Mr Kumar, also the JD(U) president, warned that rebel veteran leader Sharad Yadav, who is upset over the split in the three-party Grand Alliance in Bihar, would lose his Rajya Sabha seat if he were to attend the RJD's August 27 rally in Patna, in violation of a party directive. The Bihar chief minister said he had challenged his detractors to break the party at the open session after the JD(U) national executive meeting last Saturday. "I repeat my challenge today," he said. Mr Kumar said rules provided for expulsion of a member if he participates in the political programme of another party against the party line, he said. "If you go into the technicality of this provision....if somebody even sends a photograph of a party leader sharing platform of another party to the president of the party to which the leader belongs, it would amount to that person giving up the membership of the party on his own," he said, and cited instance of former Bihar MP (Capt. Jai Narain Nishad) who lost his membership on that ground. Mr Kumar, however, did not elaborate whether the provision existed in the JD(U) constitution or the Anti-Defection Law. JD(U) principal general secretary KC Tyagi had on Saturday said that if Sharad Yadav crosses the 'Lakshman rekha' and attends RJD's rally, the party would initiate action against him.